"....I can credit my 'glowy' skin to this entirely!" So many of you have asked in the last few weeks what I'm doing different with my skin and why it all of a sudden looks so 'glowy' and radiant? Now I have been exercising a lot more, limiting the alcohol and upping my water intake however I don't think this has effected the skin on my face a great deal (put it this way, it still looks perpetually grey and dull when I wake up in the morning!!). But..... there has been a new product I've been testing over the last few weeks and I can credit my glowy skin to this entirely! 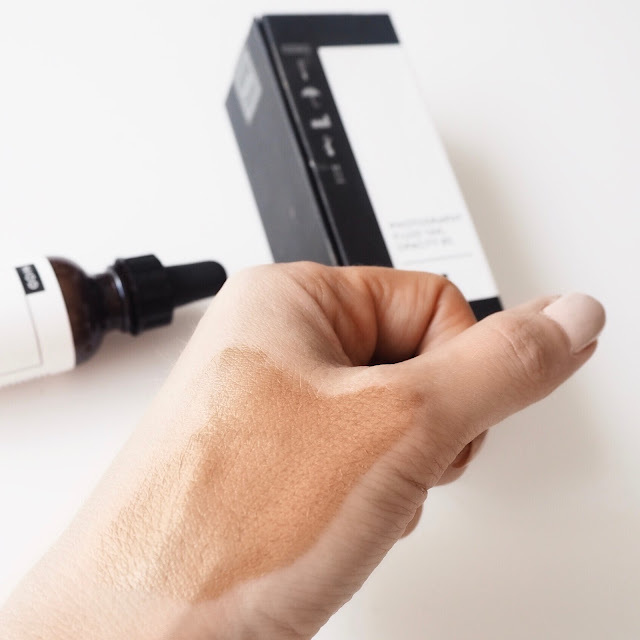 "Adds a subtle tan and glow to the face and doesn't look at all orange..."
Due to the consistency and the colour, I would imagine that this would work well for all skin tones and it contains a hue corrector that gets rid of any yellow or redness. "...gets rid of any yellow or redness"
Another major plus point it has over the ByTerry CC Serum is that it's scent-free..... the ByTerry one smells dis-gust-ing!!!!!!! I pop a drop on my forehead, each cheek and chin and then use a dense brush to buff it into my skin. 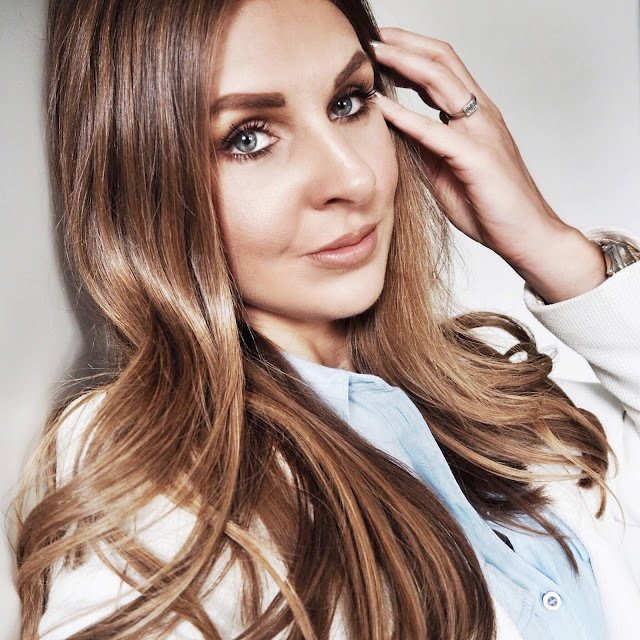 If I'm just popping to the gym or going out to walk the dog, I'll just leave it at that or if I'm doing a full face of make up I'll then go in with concealer under my eyes perhaps a little around my t-zone and set with a bit of bareMinerals barePro powder foundation. I then go in with bronzer, blush and the rest of my make up. 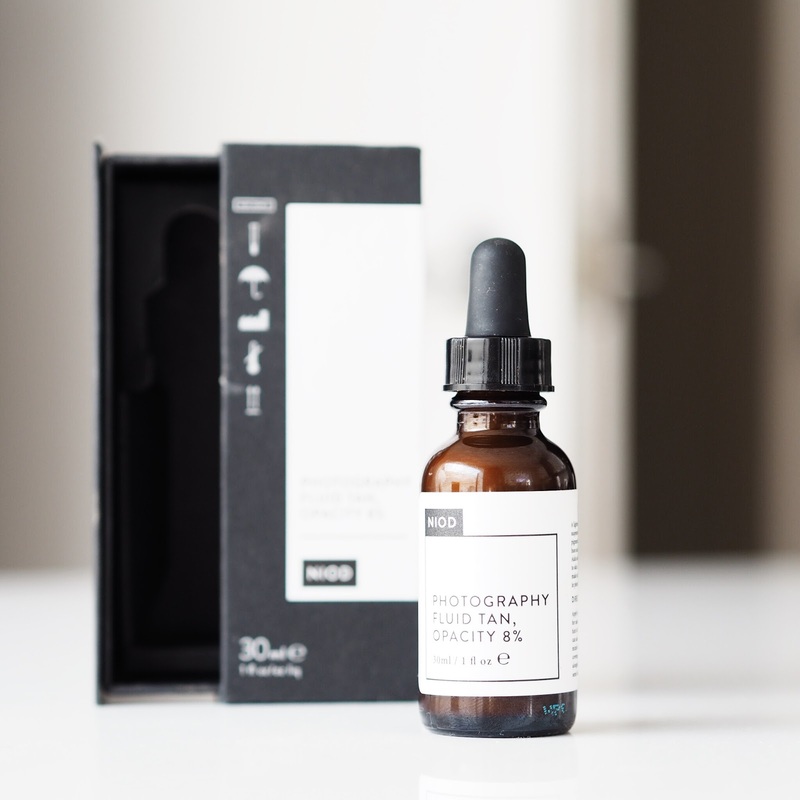 This gives a nice natural radiant look and I'm really enjoying letting my skin breathe at the moment. 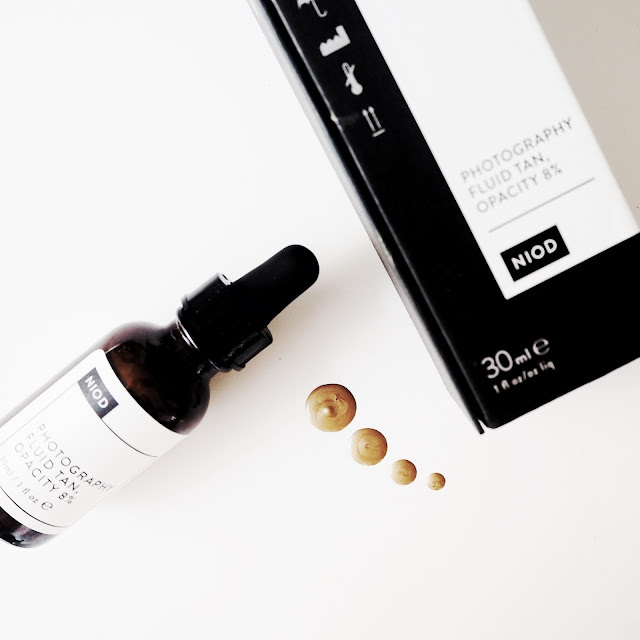 The Niod Photography Fluid Tan really helps to even out skin tone without the need for a heavy liquid foundation. 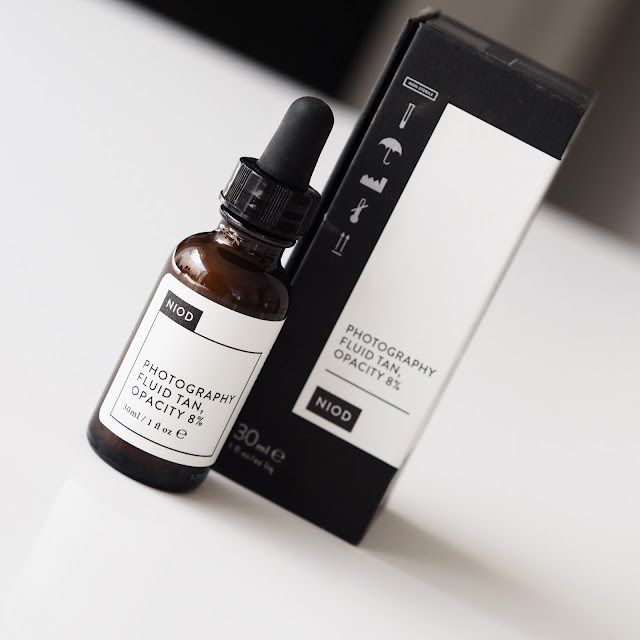 You could also mix it with the original Photography Fluid, something I've not tried yet but definitely will when we get to those hot Summer days where I just want to G L O W!! So there we have it, the secret's out! Let me know if you purchase a bottle and what you think!